To commemorate the two major life events, our black Take Your Pix wedding and photo board albums make a perfect compliment to baby shower gift ideas for girls. 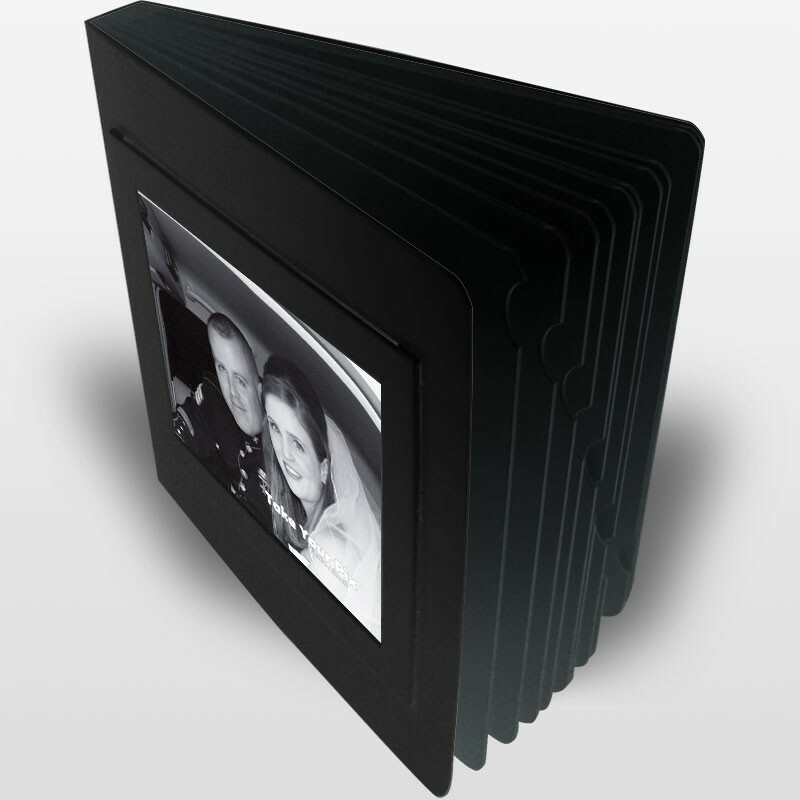 Unlike traditional photo albums, our albums have thick rigid pages. Notches have been added to the page edges to facilitate page turning. Ideal for wedding gifts, favors, parents' or bridal party gifts.